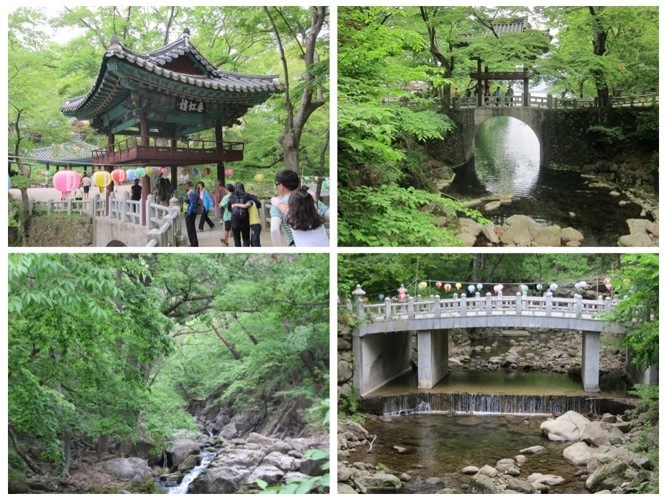 People come to the Jirisan mountains to hike this beautiful area. 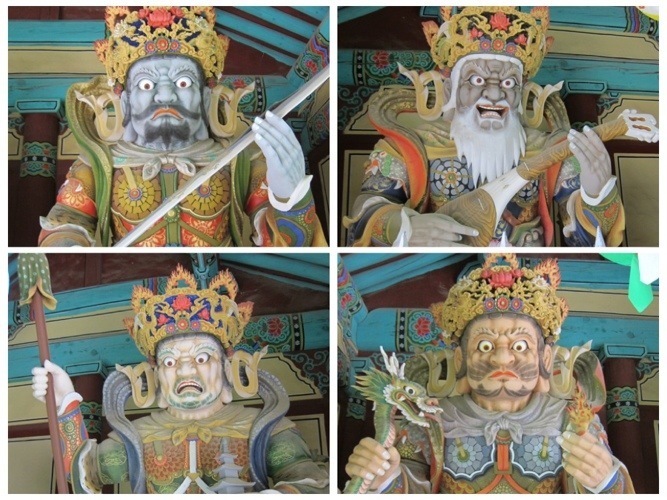 The place is considered to be a sacred mountain range, for over two thousand years. 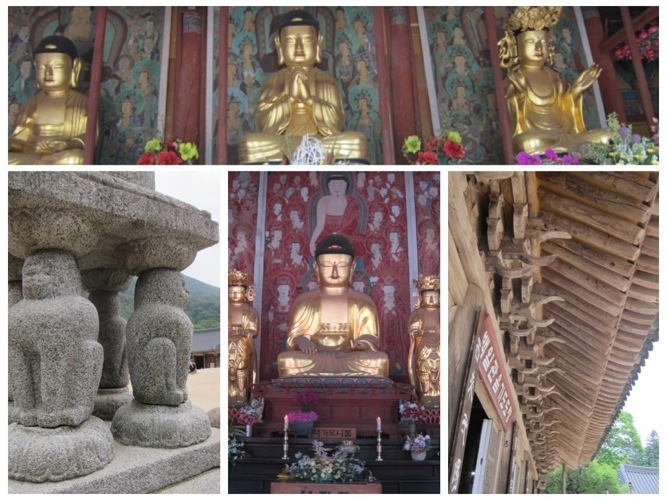 The mountains of Jirisan have been home to numerous Buddhist monks who achieved enlightenment and then Nirvana, while meditating in these mountains. The area is filled with zen temples and shrines built by those Enlightened monks, or to honor their memory and life story. People believe that those who come to these mountains can benefit from the vibrational energy transferred from the wisdom of others. 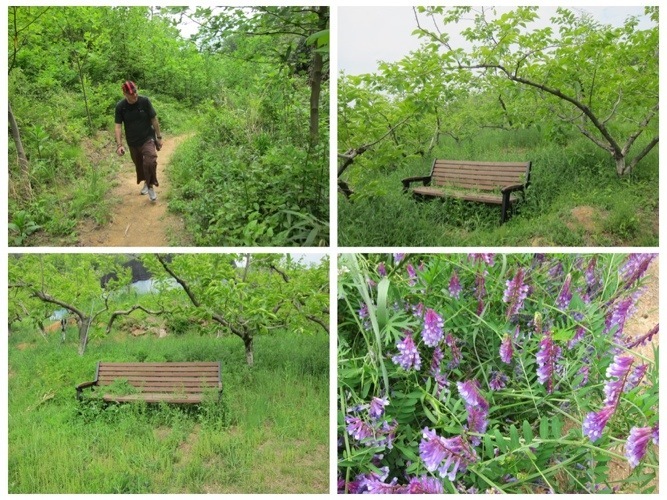 A common belief is that a foolish man might come to Jirisan looking for shallow pleasures, but when he leaves, he would have learnt a few lessons, and if his heart is willing, he will leave a wiser man. 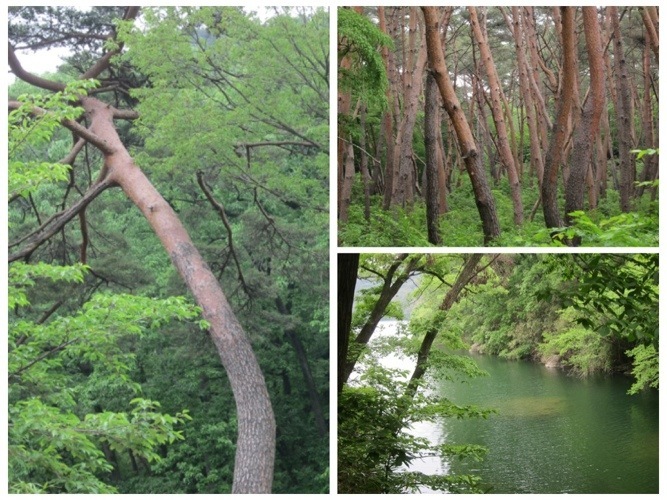 There are a few ways to hike Jirisan. There are the summit hikes, which are strenuous and will take you through lush forests, on top of the spine of mountain ridges, to the peaks where vast summit views will unfold before you. And then there are the more meditative hikes, in which you experience first hand the life of a carefree vagabond, passing through life with nothing but a backpack, observing the weather, the sky, the scenery around you, the villages and the villagers you pass by, being in tune with the rhythm of life, listening to the the birds, the flowers and garlic growing in the fields…. During the summit hikes, you are also aware of the nature around you, but the path over rocks usually demands your constant focus and unwavering attention. One step in the wrong direction, and you can twist an ankle or fall. In a way, hiking a mountain towards the summit, is a metaphor to living in the present moment. You simply HAVE to be right HERE and right NOW. 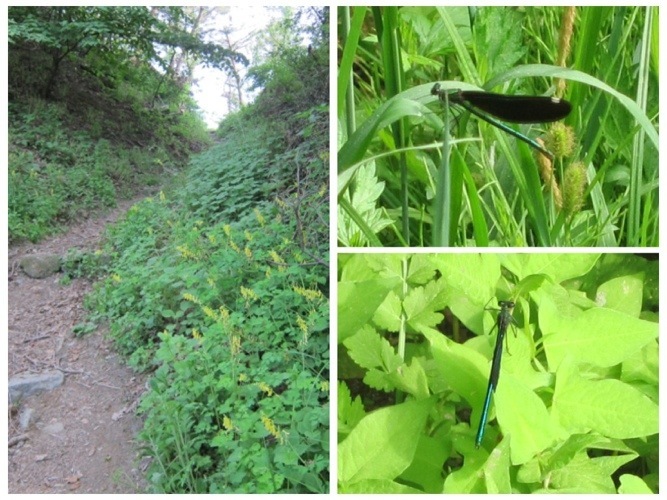 The meditative hikes do not demand your constant attention, and you find that your mind starts composing poetry, making associations, and taking flights of fancy. You might still have to struggle very much with the limitations of your body, noticing your achy feet after hours of climbing, but those hikes are not as hard as climbing rocky mountains. 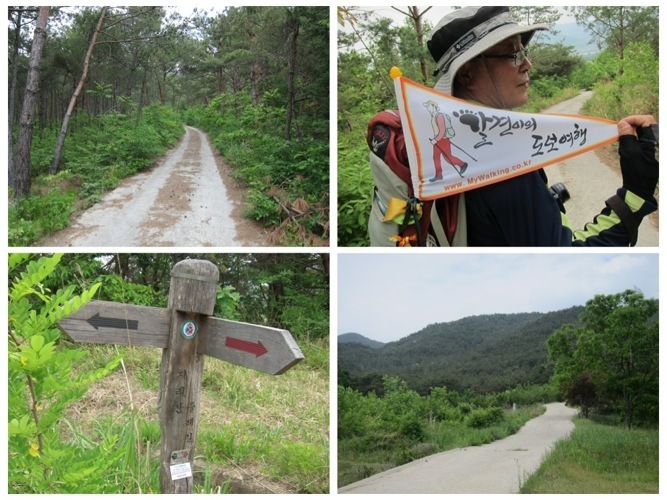 We decided to do a few of these meditative hikes during our week long time in Jirisan. My legs were a bit stiff from all the mountains we climbed and constant hiking that we have done in the past five weeks, and the prospect of long days of constant climbing did not seem so appealing. Besides…it was the weekend and I knew that the mountain summits would be packed with people, and that we would have to climb heel to toe with groups of weekend hikers, so we opted for a more meditative hike with wider paths, and with less people. 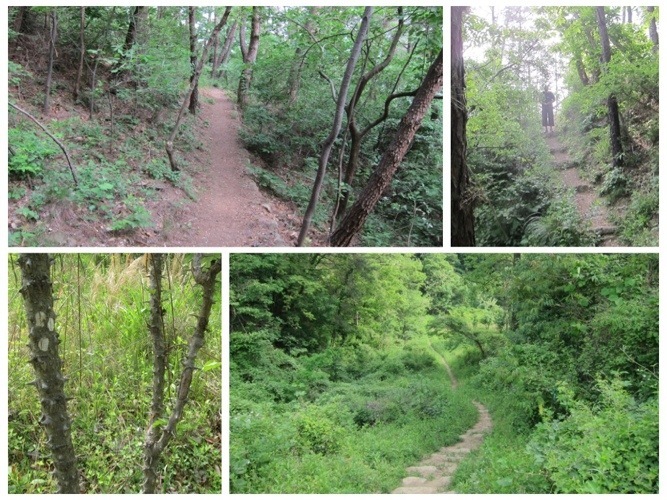 Those hiking and walking trails are so great, that they still had a fair amount of hikers and even mountain bikers, who needed to carry their bikes often, as they climbed the many stone steps or crossed uneven bridges. 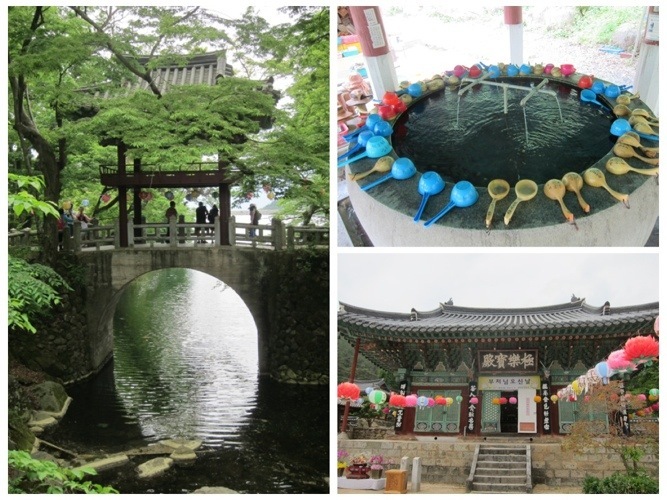 We first visited Cheoneunsa temple, located above Banggwang Village in the outskirts of Gurye, in the southwest part of Jirisan. 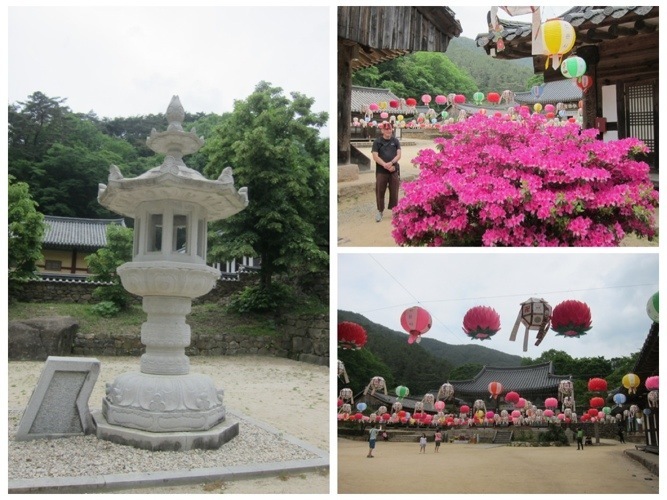 This beautiful Zen temple was built over 1200 years ago, during the Unified Shilla Period. 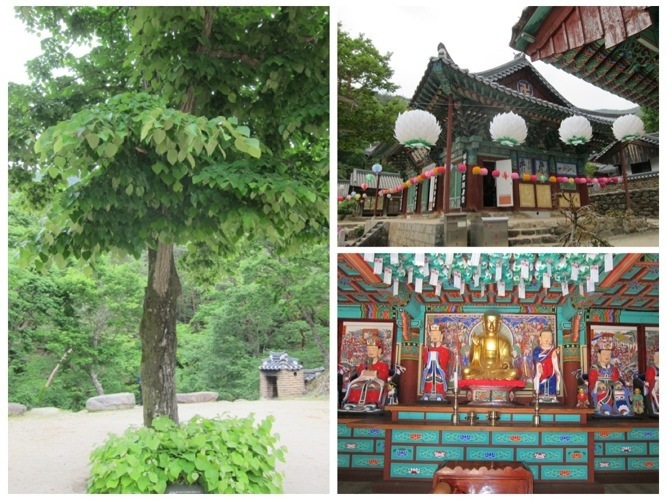 Zen temples in Korea put a lot of emphasis on the Feng Shui design of the place. Much thought is given to the location of the buildings in relation to the mountaintop and the sunlight, and water must flow through the temple, either as a spring or a manmade lake. 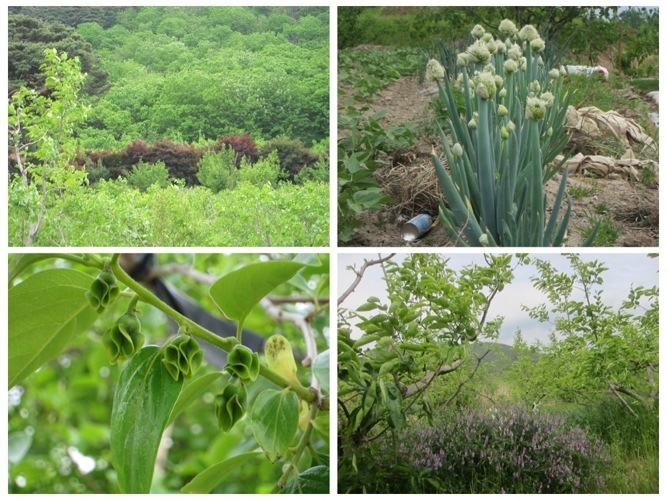 Trees are also very important, and they were carefully chosen and planted to create a serene setting. This temple has a forest leading to it, and in the forest they built small shrines, which host the Sarira of the enlightened monks who lived here. A Sarira is a pearl-like calcification that is found after a master is cremated. It is said that the ashes of ordinary people who are cremated after death, does not contain a Sarira. It is said that only in the ashes of enlightened masters, good saints and people who lived in alignment with the absolute Truth, this Sarira pearl is found. In Cheoneunsa temple, a lovely rocky river flows from the deep valleys and the majestic peak which softly embraces the temple. We crossed a picturesque bridge and climbed the steps to the gates. This temple has two sets of gates. 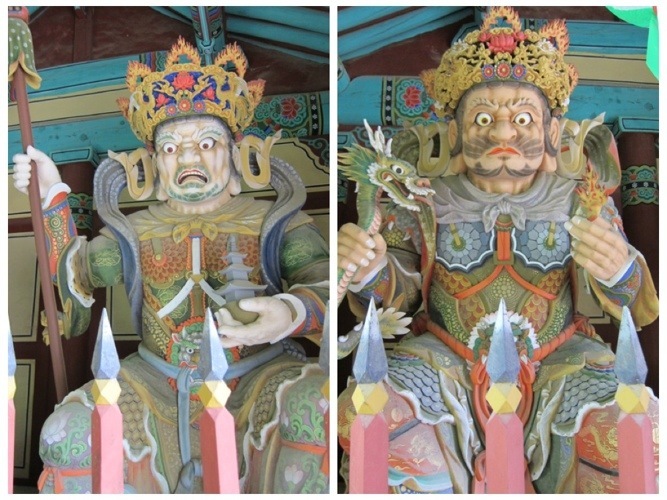 The first gate has two guardians and two women sitting on an elephant and a mythical lion. They are the first protective guardians, said to have the power of a thousand elephants. 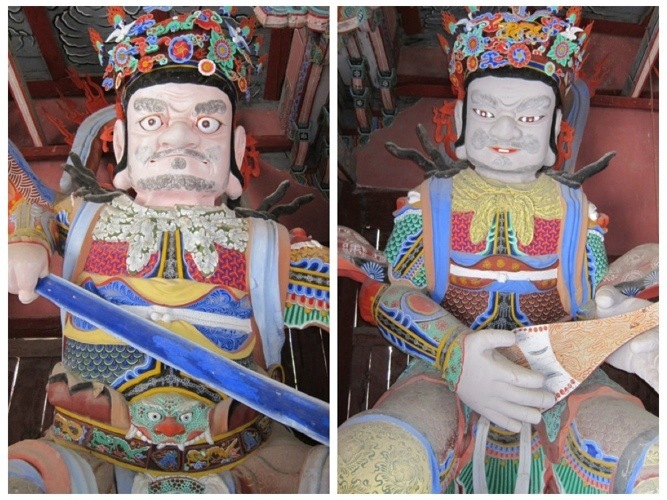 The second gate has the four Heavenly Kings, or the Guardians of the four directions, each holding a symbolic object in his hand. At their feet, there are evil looking men, who symbolized demons and evil forces, which the guardians crush and protect against. 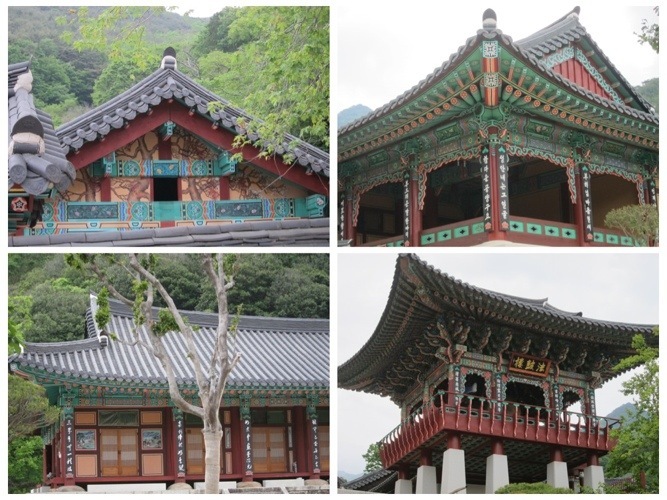 Each building has a special use and a special symbolism. 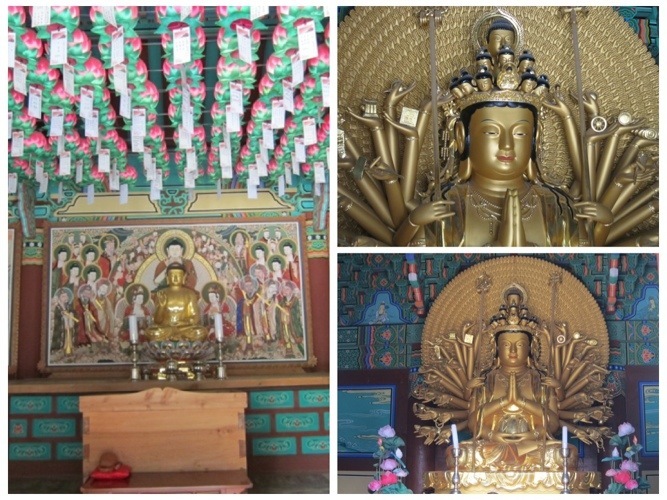 There is the main hall which houses the Buddha of Truth, the Buddha of the past, or the originator of the religion, and the Buddha of good morals. 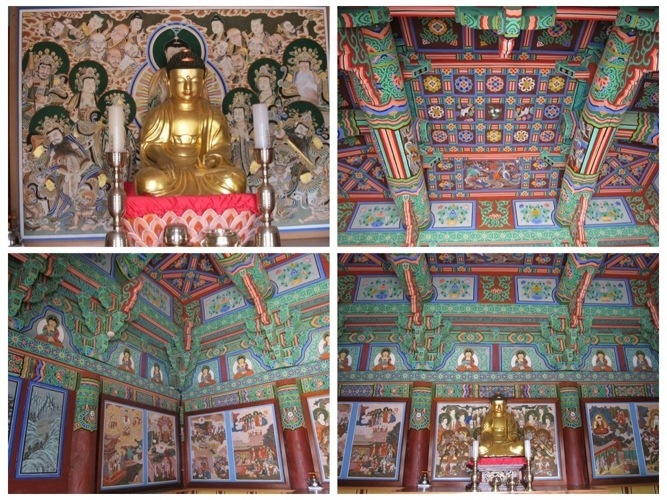 One hall was built to help people find the right path to Enlightenment. Another hall was used to pray for the ruling family. Historically, Buddhism attempted to survive not by revolting against the kings and rulers, but by praying for ALL sentient beings, and working to promote happiness and greater wisdom in all. 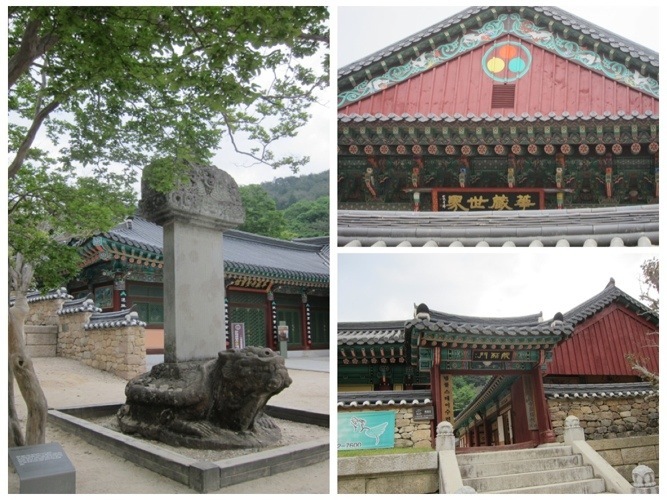 Cheoneunsa Temple was built by the Monk Deokun, who came here from India in 828 A.D. during the 3rd year of King Heungdeok. The temple had a spring water, as clean and as cold as the sweet morning dew. The spring water was rumored to be able to cleanse one’s body and soul, and throngs of Buddhist monks made a pilgrimage to this temple. 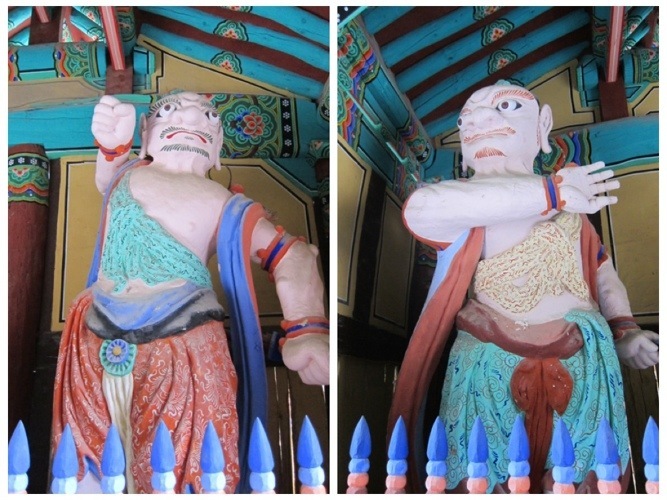 During King Chungryeol’s reign, the temple was considered to be the Best Temple in the South. 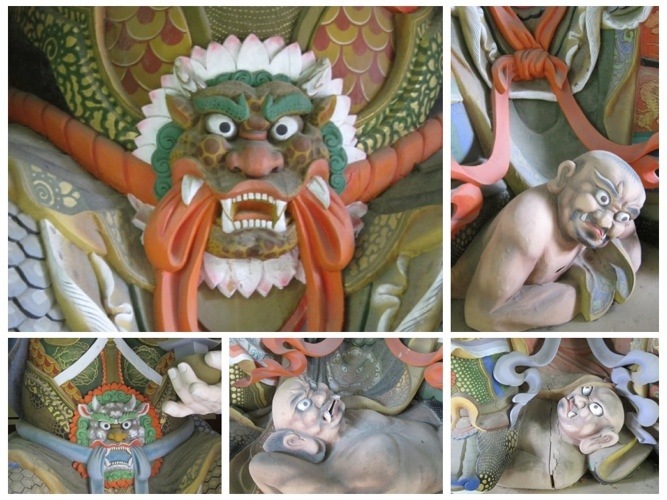 Legend has it that while the temple was being rebuilt, after the Japanese Invasion in 1592-1598, somebody killed a large serpent which appeared out of nowhere. As a result of this brutal act, or maybe the serpent was the god of the spring, but suddenly the spring waters abruptly dried up. 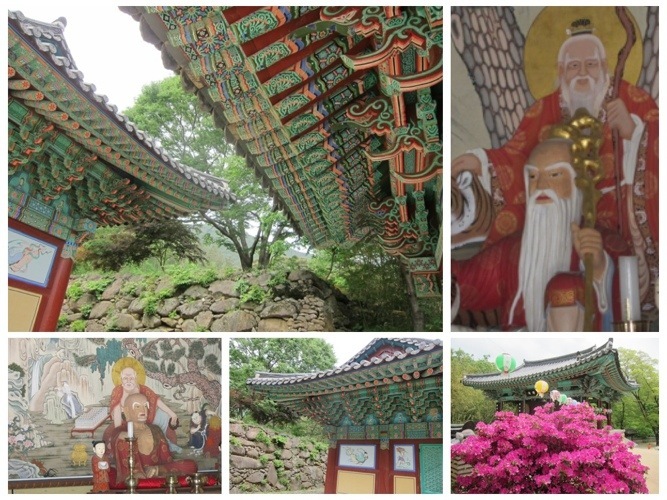 We left the temple and started our hike at Banggwang Village. We parked our car by one of the overnight shelters, built to allow pilgrims a clean place to sleep. 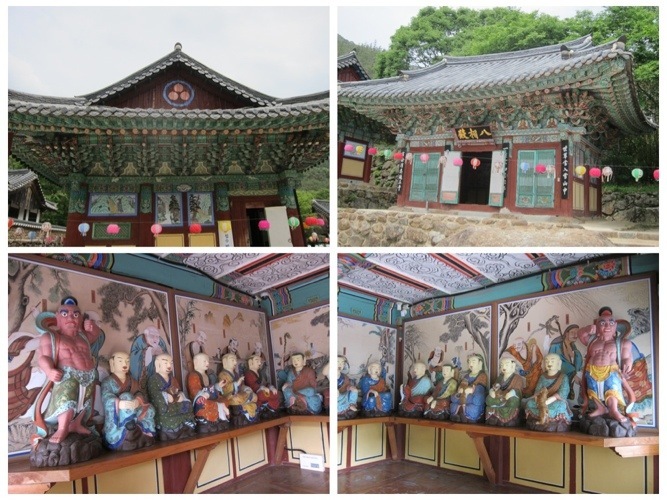 The shelter was not attended, but I could see that it had a large room with a wooden floor, toilets, some trash bins and a basic kitchen which pilgrims and hikers can use to cook their meals. Almost immediately after starting our walk, we met a large group of hikers. A friendly man who spoke good English, told us that they were a hiking group from Seoul, and that they were on their second day of a three day hike. 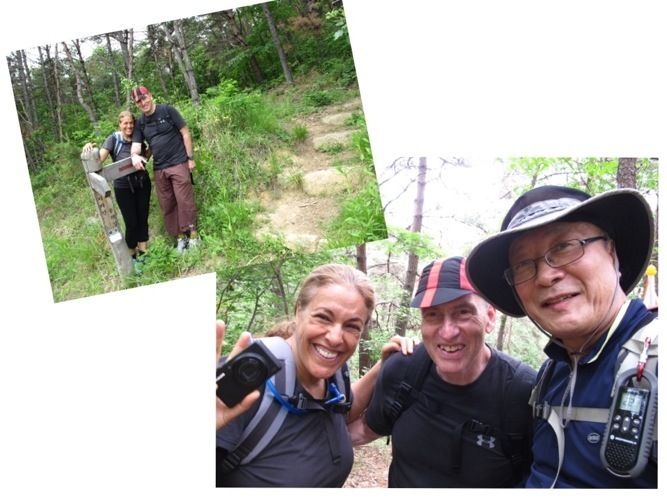 Hi name was Nah and he was an aeronautic engineer who was also the head of the photography association of Korea, and of one of Seoul’s biggest hiking clubs. For a long stretch, we walked with Nah. He showed us how to spot the trail markings, and showed us a map of the trail’s increasing elevation. 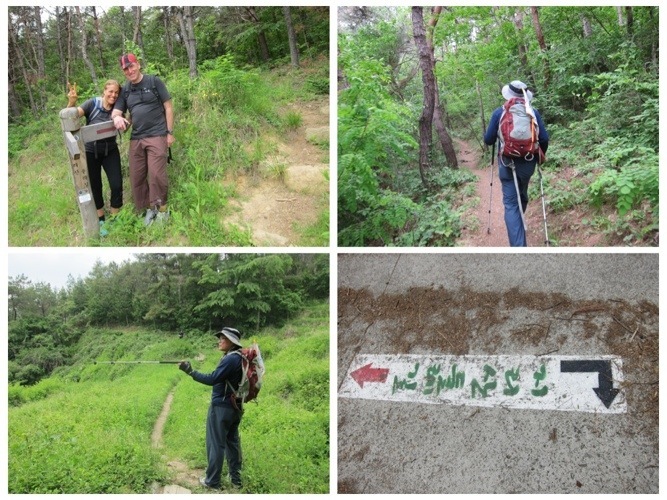 The hike we chose was rated as ‘hard,’ with a lot of climbing and even a mountain pass. Since we needed to get back to our car, we did not intend to do the whole hike. 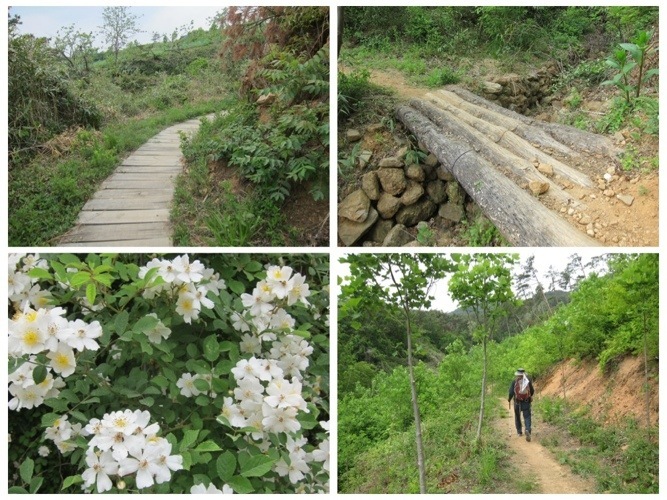 We intended to hike for 4-5 kilometers each way, and then turn around to go back to our car. 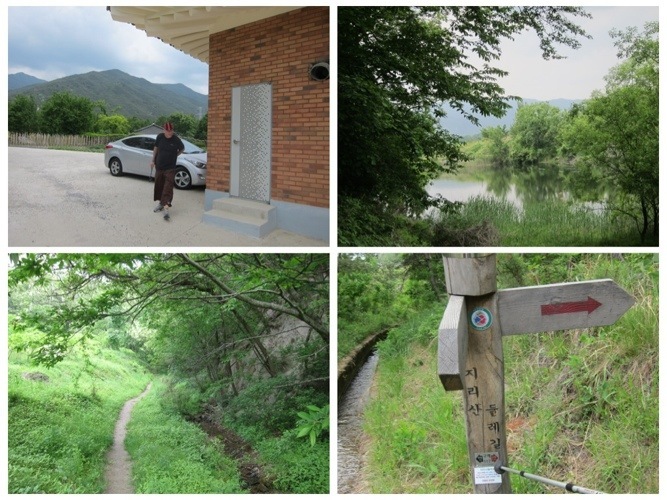 There is an option of completing the hike and taking a taxi back to your car, but we could not explain without speaking Korean, that we parked by an overnight shelter along the road. 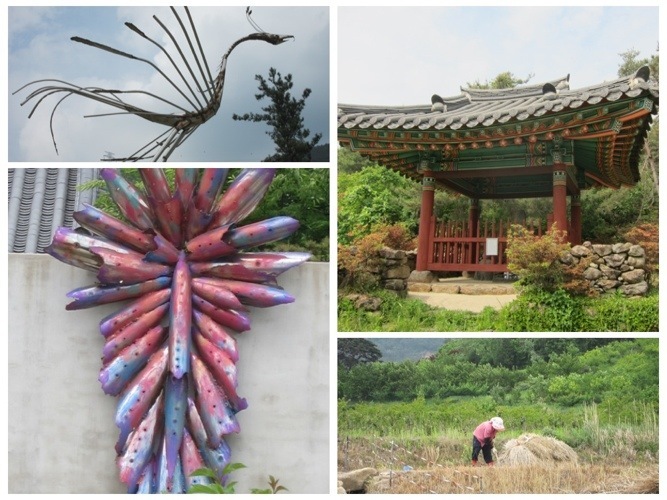 It was a beautiful day and we hiked through forests, Persimmon and Plum orchards, and through farmland, along irrigation canals and pathways spread between fields..
We passed by an artists’ village and tried to get a drink in a gallery cafe. The owner of the cafe was a painter, painting realistic fruit plates and flowers. We sat there chatting with the painter and her husband, and with their friends, a Korean woman and a man from Austria who spoke no English and grinned at us with a mouth empty but for one front tooth. No menus or drinks were offered to us, and finally we realized that the cafe was not yet open. They just INTENDED to have a cafe there in the future. For now, they were using the space as a gallery to exhibit his wife’s work. The exhibition had just ended, so there was also no art on the walls. The husband handed us a catalogue of his wife’s paintings which we admired, but when he was about to hand us another catalogue, she had waved her head violently at him, signaling to him not to give it to us, thinking that I had not noticed her gesture. It was obvious to her that we were not buyers, just hikers passing by, and she was afraid that we might take the costly catalogues. We thanked them for letting us sit for a moment, and we left this unwelcoming place. As we continued our walk, I reflected about the difference between the hospitality that we got the day before in a small temple, and this experience we just had in what we believed to be a cafe. Not motivated by profit or hope to sell something, the temple’s monk welcomed us and the young woman spent nearly an hour walking with us around the temple grounds, showing us the traditional temple bows, explaining everything and even feeding us a free lunch. Here in this Artist Colony, hoping only to make sales of her art, the painter was not even willing to show her work to people who she sensed would not buy it. 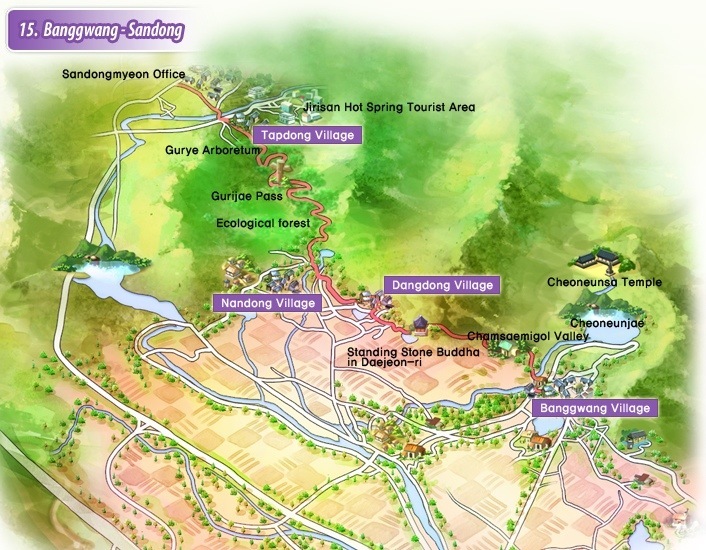 The Dang-dong Artist Village stands in great contrast to the old surroundings. Most houses are very modern with concrete and glass walls, with wooden accents. 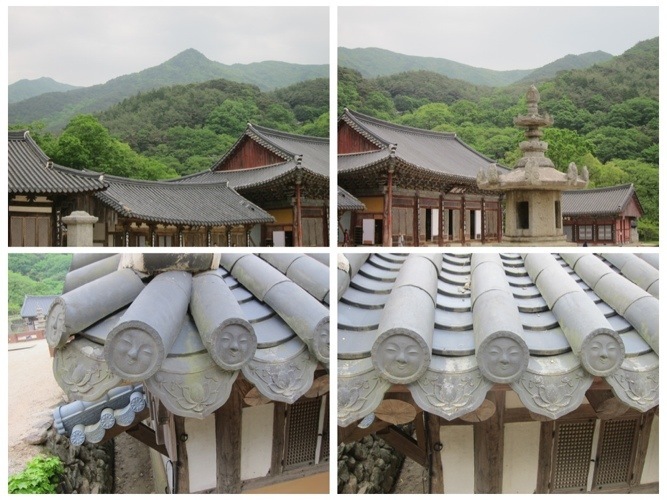 Later, as we caught up with our hiking friend from Seoul, he told us that he did not enjoy this village, and that he does not enjoy this kind of architecture in the middle of the mountains. I have to admit that I did like very much one house at the entrance to the village, which almost looked like a contemporary museum. Farther along the road we saw a little pavilion with an old stone Buddha in Daejeon-ri. 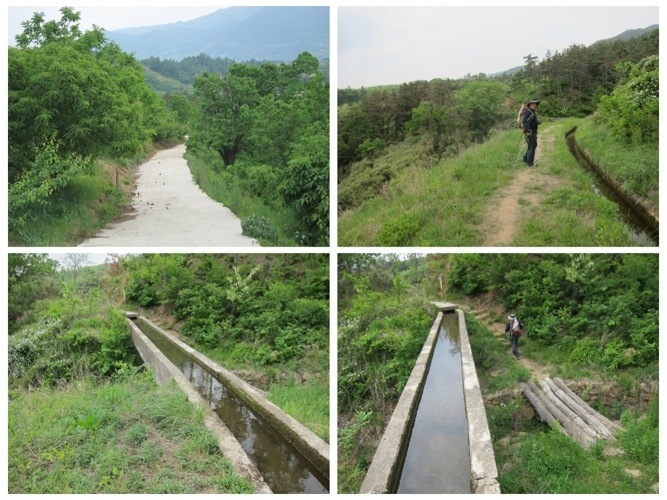 In Nandong Village, right before the Gurijae Pass, we turned back and walked to our car. It was a long hike and the day was very hot. 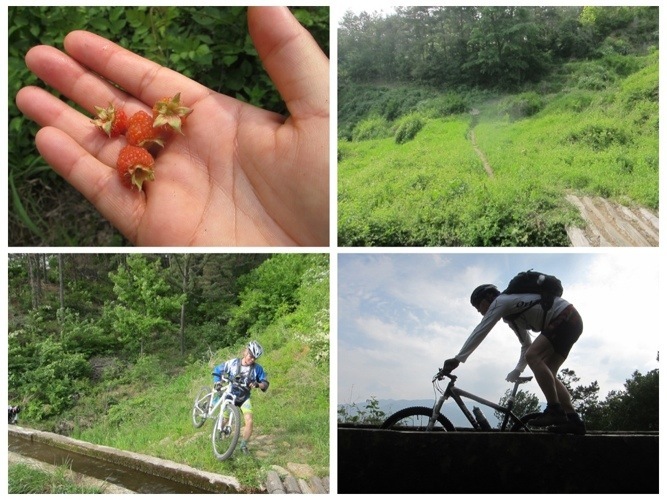 We started the day with no food, just a few nuts and some wild raspberries that I found all along the path. They were delicious but a bit dusty. Gurye Valley is known to be a beautiful place. Many years ago, a government official, dispatched by Emperor Qin Shi Huang of China, was said to have found the ‘elixir of life’ in Gurye valley. We made it back to our car sweaty and tired, but with enough time to visit another great Zen temple. 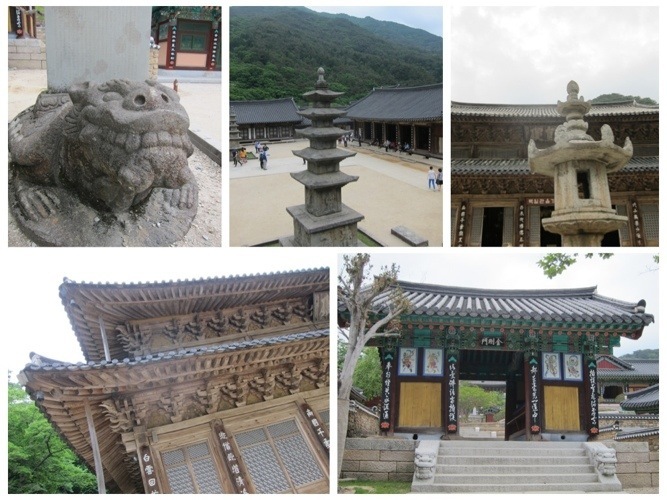 Hwaeomsa Temple is one of the 10 most famous temples in all of Korea. 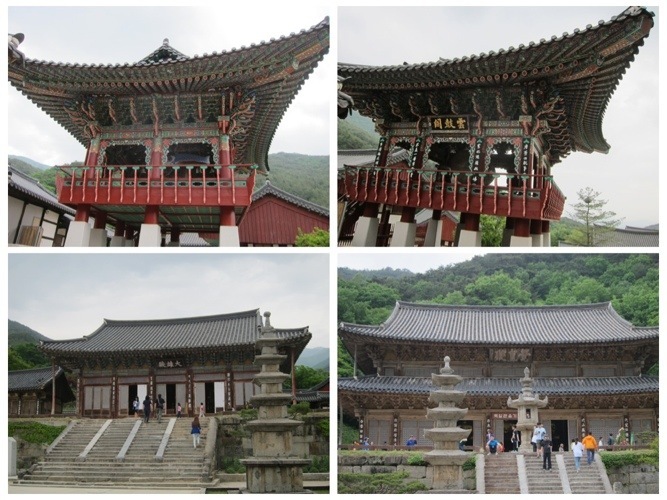 It was built in the fifth year of King Jinheung’s reign (544 AD) during the Shilla dynasty Era. 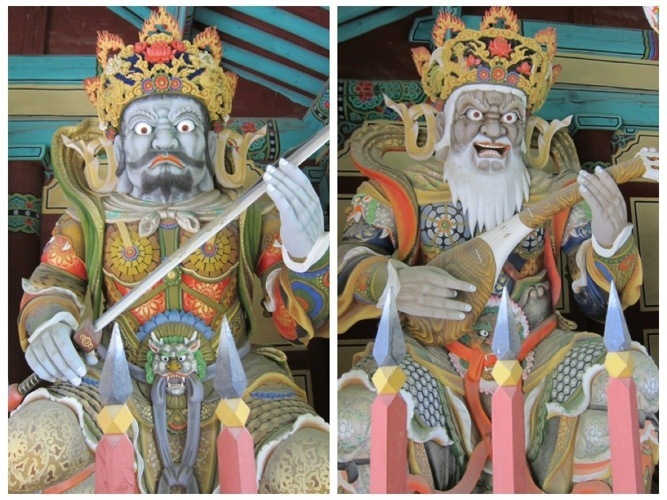 Like many temples in Korea, it was burnt down during the Japanese Invasion in 1592. 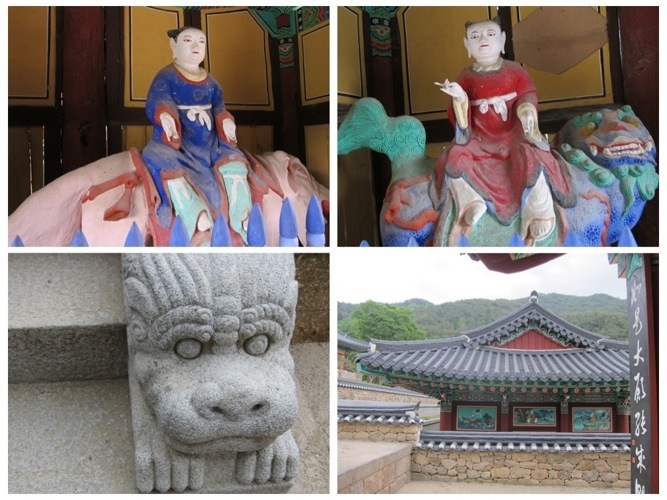 The temple was completely rebuilt during the Joseon Period. 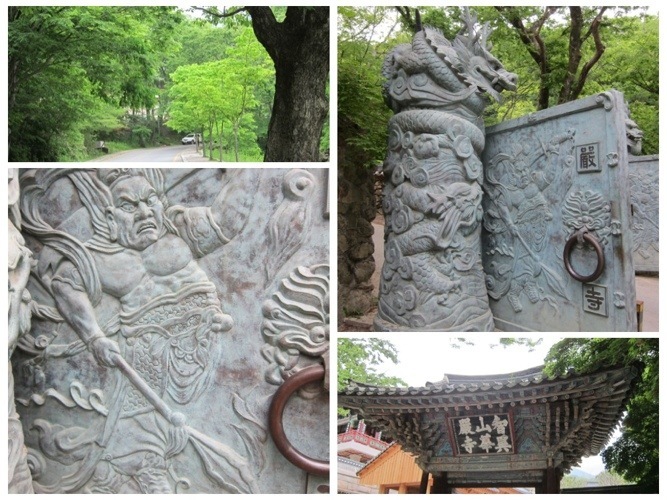 Hwaeomsa Temple has beautiful gates, two bell towers and a long stonewall. 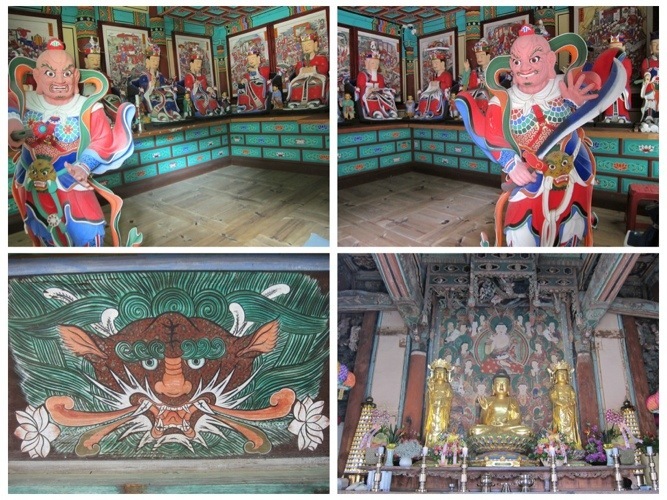 Large impressive Pavilions offer different uses, a monk quarters, some gold gilded Buddhas, and beautiful Pagodas. 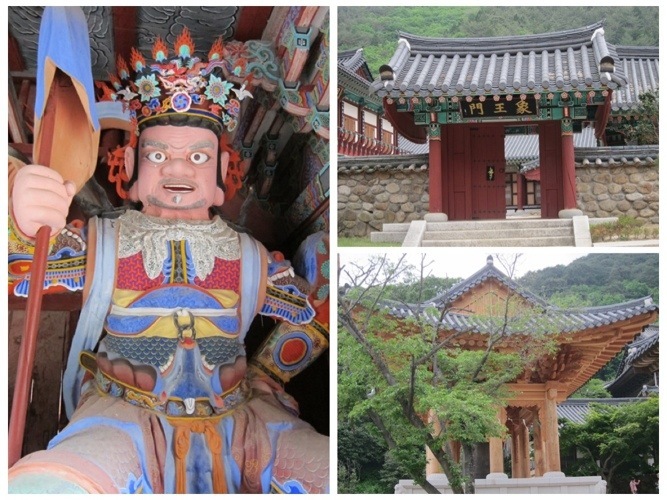 magnificent and serene temple, situated between beautiful mountain peaks. In this post, I described hike number 15. 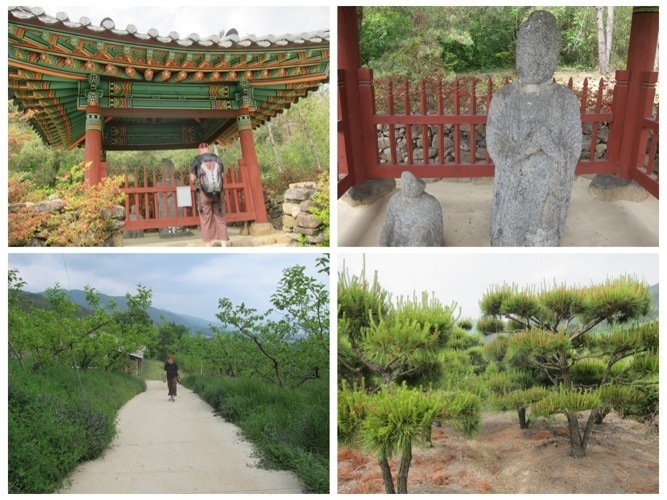 We started with a visit to Cheoneunsa Zen temple, which is not located on the walking path, but farther up the mountain. 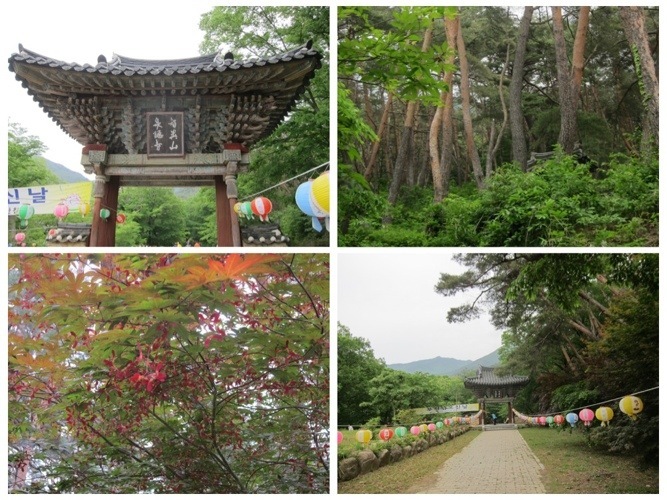 after the hike, we drove to Hwaeomsa Zen temple. 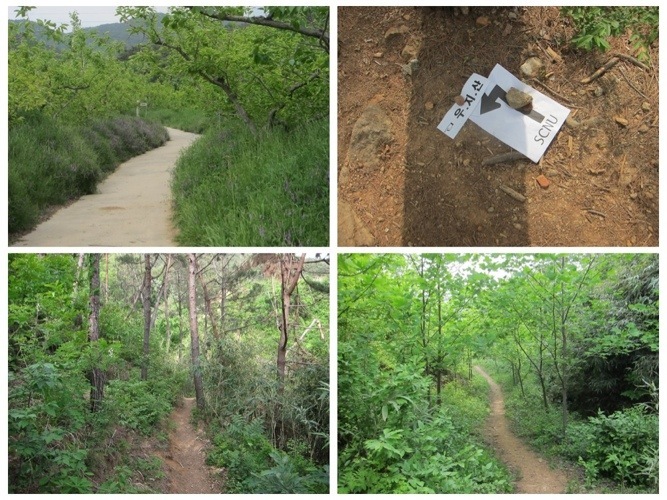 The hikes are well marked with wooden signs, and signs on the pavements, ribbons on trees or markings on the asphalt. 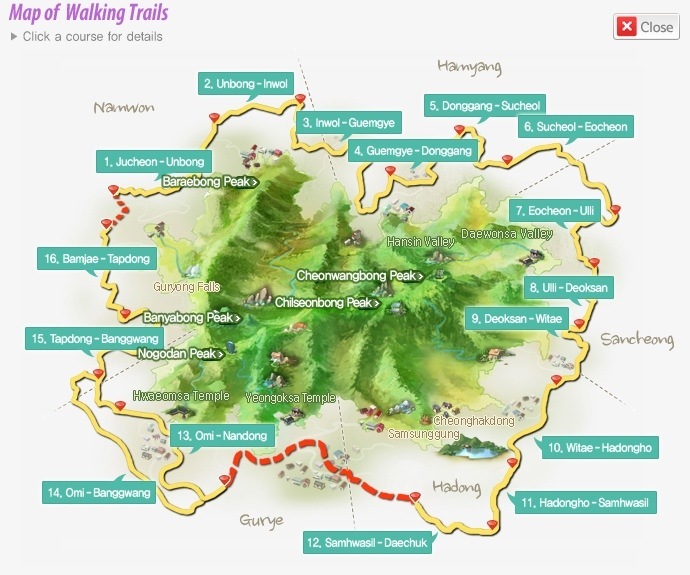 There is a great website with information about hiking, walking, food and a good audio guide application, which could be downloaded. 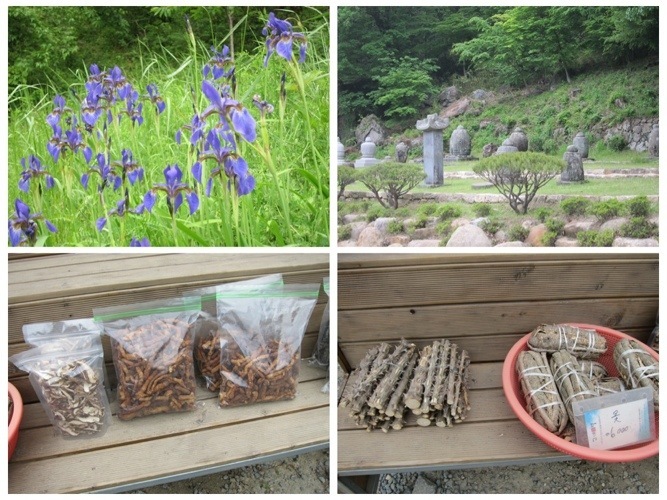 It offers story telling about the places you visit around Jirisan.